“What’s new?” is a phrase Peaks and Pints hears daily. In fact, that phrase was heard daily between 1985 and 2003, the years craft beers exploration and trying something new was definitely a thing. In 2019, though, that means some drinkers — in their relentless quest for Untappd check-ins and tried-it-first bragging rights — have forgotten the flagship, core beers that first grabbed their attention. The hashtag #FlagshipFebruary seeks to correct that. For the uninitiated, a flagship beer is usually a brewery’s core offering, the beer it built its reputation on — New Belgium Fat Tire, Sierra Nevada Pale Ale, Widmer Brothers Hefeweizen. There is an entire crop of 20-something drinkers who don’t know these beers (shudder). Every Friday in February, Peaks and Pints will skip the pastry stouts, fruited sour beers, double dry-hopped hazy IPAs, and flavored everything, and offer a flight of flagships — #FlagshipFebruaryFridayFlight. 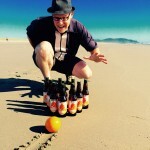 Today, we go local with Craft Beer Crosscut 2.8.19: A Flight of Tacoma Flagships. Morgan Alexander brewed beer in high school. He used Baker’s yeast and apple juice, which Alexander says was horrible. He kept the lab coat on, home brewing with unusual ingredients for years before converting his beloved Tacoma Triangle District Amocat Cafe into Tacoma Brewing Company, a tiny taproom that he eventually abandoned for a ginormous space up the street. He kissed his front window on the way out. The window slot cost him a fortune, but he definitely made it back 10 fold. He renamed his Citra IPA “Broken Window IPA” after roughians shattered the glass enough times that Alexander started hosting fundraisers. 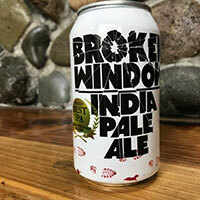 Broken Window IPA went on to win award after award; it was worth the pane. Narrows Brewing opens its doors in the summer of 2013, perched on pilings above Narrows waterway. Joe Walts, a quality control manager at Ale Asylum Brewing in Madison, Wisconsin, landed the head brewer job. 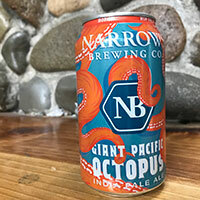 One of the first beers he brewed as the Giant Pacific Octopus IPA, a potpourri of sweet, yeasty, floral, citrus, pine and malt on the nose and tongue. Walts is back at Ale Asylum, but there isn’t a better head brewer to continue wrangling the Giant Octopus than Matt Rhodes, who grew up and lived in the LA area. Brewed with Magnum, Columbus, and Willamette hops, Octopus IPA is zesty with a fruity, melon, and grapefruit flavor profile. In 1865, Civil War veteran Job Carr stirred wort on his Old Town Tacoma cabin porch scheming how to launch Northern Pacific Railroad Brewing Co. Twenty years later New Tacoma Brewery launched in what would eventually be known as Tacoma’s Brewery District, quickly changing hands and renamed United States Brewing & Ice Co. In 1897, after several ownership and name changes, Pacific Brewing & Malting Co. opened at 2525 S. Holgate St. Then Prohibition hit in 1920. Pacific Brewing & Malting Co. actually closed shop in 1914 when Washington state jumped the gun and ratified prohibition six years before it was mandated by federal law. In the fall of 2014, Brent Hall and Steve Navarro re-opened the brewery several blocks north of where the original brewery operated. 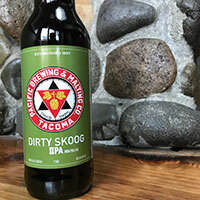 The Skoog, the new brewery’s flagship beer originally known as Dirty Skoog, is named after The Skoog Saloon, a blind pig speakeasy that is rumored to have operated somewhere in Old Tacoma during Prohibition. The Skoog is a medium-bodied double IPA with a crisp and refreshing bitter character balanced with malt character. 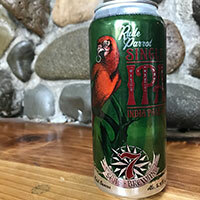 7 Seas Brewing originally brewed their flagship Rude Parrot IPA in their Gig Harbor facility, but the well-balanced IPA is now brewed in their new facility in Tacoma’s Brewery District. Brewed with Vienna, light Crystal, and a touch of Honey malt, this golden hued IPA is aggressively hopped with Simcoe and Citra hops. Checks all the boxes you’d expect from an IPA with pine and citrus notes in both the smell and taste. Taste is rich and full with sharp orange rind and grapefruit followed by a minty coolness and an off dry, pleasantly bitter finish. It’s an everyday IPA. 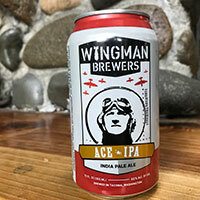 Wingman Brewers‘ flagship craft beer Ace IPA began as a Belgian meets American-style IPA with Belgian malts that complement a healthy portioning of Citra, Centennial and Cascade hops. Today, the IPA still carries a Belgian malt flavor but Wingman drops a hop bomb of grapefruit and herb flavor — thanks to the Simcoe, Citra, Centennial, Cascade and Bravo hops — for a well-balanced IPA.